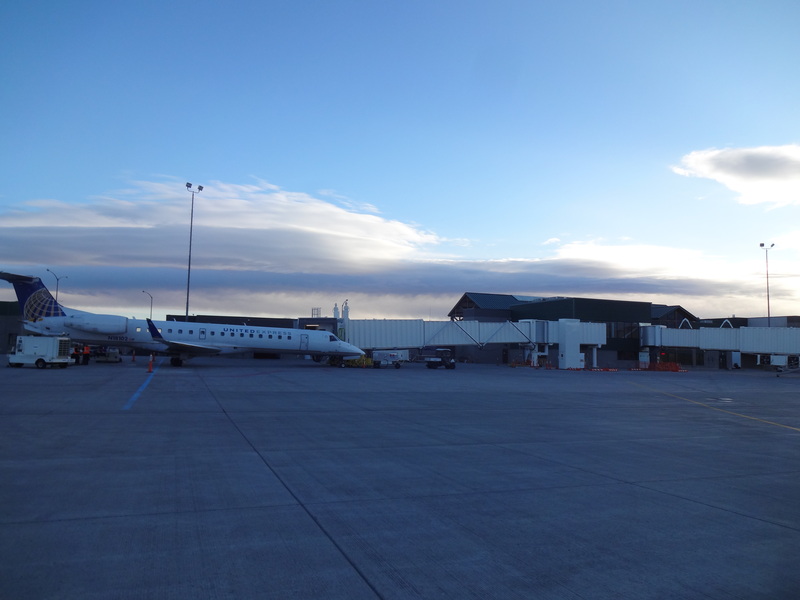 WHY IS THE PROJECT NEEDED: Phase 1 of a multi-year terminal expansion project has begun. Since the last terminal expansion was completed in 2005, passenger traffic has increased 22%. In addition, passenger traffic has grown the past 4 consecutive years, including 2018 which is up 13.1% through October compared to the same time in 2017. The airline industry is also experiencing a fleet conversion at small airports across the country, smaller 50 seat aircraft are being replaced with 76 seat and larger aircraft. This additional aircraft size requires additional space in between jet bridge parking areas. Additionally, airlines currently using ground-boarded propeller aircraft are being converted to jet aircraft which require jet bridge boarding options. WHAT IS INCLUDED IN THE PROJECT: 20,000 square feet of new space will be added inside of the secured area past the TSA checkpoint. This space will provide additional seating for up to 500 passengers, along with the ability to serve 6 aircraft simultaneously through new jet bridges. An improved eating space along with additional restrooms, family restrooms, and other amenities will be included. Two new elevators will provide additional capacity and operational redundancy between levels 1 and 2. The TSA screening checkpoint will also be relocated out of the lobby and into the level 1 expansion. This relocation will provide space for 2 screening lanes with options for a 3rd once demand reaches that level. WHEN WILL IT BE COMPLETED: The project is being completed in 3 phases over a period of 2 years. The project is being done in phases to allow for continued operations during construction. The project started in July of 2018 and is expected to be completed by late summer of 2020. PROJECT COST AND FUNDING SOURCE: The terminal expansion project is being funded by a combination of airport revenues and funds from the Federal Aviation Administration’s Airport Improvement and Passenger Facility Charge Programs. There are NO LOCAL TAXES OR MIL LEVIES being used to fund the project. The FAA AIP program is a nationwide program that collects a fee from all airline ticket sales, aviation fuel sales, or air cargo waybills. Airports can receive a portion of those funds back for approved infrastructure project such as this terminal expansion. In addition, a $4.50 Passenger Facility Charge is another FAA approved program which provides funds for infrastructure improvements.